We hear a lot about mushrooms but how many are aware of the fact that mushrooms too have a number of different forms! Have you ever heard of Ganoderma Lucidum mushroom? I’m sure most of you are unaware of this wonder mushroom. It contains more than 400 trace elements to maximize the body’s own healing abilities. Commonly known as reishi mushroom, genoderma is the most alkaline food in the world. Its scientific name is Ganoderma Lucidum and it is species of red mushrooms. It has a documented history of over 200 years and is the most revered herb in traditional Chinese medicine. Ganoderma or reishi mushroom was earlier referred to as “Herb of Spiritual Potency” and the “Ten Thousand Year Mushroom”. Wealthy people in ancient times used this wonder mushroom in the hope of obtaining immortality and calmness. Now this wonder herb is called the “King of the Herbs”. Ganoderma is believed to promote health and longevity. It has been long used in Chinese medicine for treating a number of diseases like body aches, cancer, and liver diseases. It is also prescribed for various psychiatric and neurological diseases. Reishi mushroom is available in six different colors, but the red variety is most commonly cultivated and used. 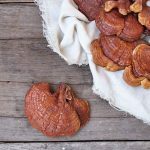 Reishi mushroom is not used for cooking as it has an extremely bitter taste. You may not find it in your grocery store or supermarket. They are only used for medicinal purposes. Ganoderma was earlier grown only in the wild, but is now cultivated in special farms and gardens. It is cultivated using the tissue culture method. The process uses centrifugal separation technique to retain the nutrients. Ganoderma contains a whopping 400 nutrients! The nutrients present in this amazing herb promote health and vitality. Some of the important nutrients are polysaccharides, antioxidants, adenosine, protein and alkaloids. It contains potassium, phosphorus, calcium, Vitamin A, C, E, D and B complex vitamins. Researchers in China and Japan have found that the ganoderic acid present in ganoderma improves blood flow and lowers oxygen consumption in the heart muscle. It also lowers cholesterol and inhibits platelet clumping, which often leads to heart attack. Ganoderma prevents the buildup of plaque in the arteries. Plaque restricts blood flow by narrowing the passage within the arteries, resulting in atherosclerosis. A study has found that consuming ganoderma for 2 weeks can significantly lower blood pressure. Ganoderma extract can significantly inhibit different types of allergic reaction, including asthma and dermatitis. Tritpenes, a compound found in ganoderma provides anti-viral and anti-allergic effects. It inhibits the histamine release, making the herb potentially useful for allergies. Polysaccharides improve the ability of antibodies to fight bacteria and viruses that cause allergic reaction. Ganoderma is useful for treating allergies caused due to atopic shock, dermatitis, hay fever, hives, and food and drug allergies. This potent herb protects the liver from damage caused due to physical and biological factors. It also treats alcohol induced fatty liver and cirrhosis. Ganoderma can help people in the early stages of alcoholic liver diseases especially those who have not experienced severe loss of liver function. It also helps patients suffering from hepatitis B and elevated liver enzymes. Hepatitis B is quite difficult to clear from the body and its recurrence after treatment is high. The powerful compounds present in ganoderma accelerate the clearance of drugs and chemicals stored in the liver. The antioxidants present in ganoderma combats the free radicals, promoting liver regeneration. Ganoderma eliminates the toxins accumulated in the body due to excess intake of medicines and junk food. It promotes the efficient synthesis of bile and fatty acids, promoting faster detoxification of the chemicals from the body. Moreover, it enhances the body’s ability to take in more than 1.5 times oxygen. Ganoderma rapidly oxygenates the body and adjusts its pH value. Kidney disease includes chronic nephritis, diabetic renal syndrome, and nephritis. It occurs due to high blood sugar and cholesterol levels in the body. Overloaded kidney prevents the blood from reaching the renal capillaries. This causes fatigue, urine retention and uremia. Ganoderma lowers proteinuria and cholesyerolemia, maintaining proper renal function. Chinese herbalists have traditionally recommended Ganoderma for its sleep promoting properties. Regular usage of ganorderma can promote a slow wave of sleep. In Japan, dried Ganoderma is recommended for the treatment of neuroses caused by environmental stress. A study also found that regular intake Ganoderma can help patients suffering from Alzheimer’s disease. It provides a calming effect, which is neither a narcotic nor hypnotic. Ganoderma has been used widely for its muscle relaxing and pain inhibiting properties. It is believed that the herb can also treat anorexia and debility following a chronic disease. Ganoderma is very useful in boosting the body’s immune system. Reishi mushrooms not only stimulate the immune system, but also regulate it. It regulates metabolic balance and promotes a synthesis of nucleic acid in the body. Polysaccharides raise the levels of interferon in the body by promoting the release of protein from the white blood cells. These white blood cells assist in inhibiting the spread of diseases. Studies have shown that patients taking ganoderma show fewer side effects from chemotherapy and radiation. The post-operative recovery is also smoother. The polysaccharides in ganoderma promote nuclear DNA synthesis and increased cell division, delaying the onset of ageing. It also contributes to longer life spans. This wonder herb helps to manage some of the most life threatening age conditions and autoimmune diseases like cancer and other neurodegenerative diseases. Oxygen is very essential for burning fat for fuel. High levels of oxygen boost the body’s metabolism, leading to weight loss. It increases the rate at which the body provides blood to the oxygen, giving you extra energy. Increased energy levels help you to work out for longer, aiding weight loss. Ganoderma is a potent source of antioxidants. It contains one of the highest sources of antioxidant found in herbs. Ganoderma Lucidum peptide is the most powerful antioxidant found in this herb. Other antioxidants include polysaccharide, polysaccharide peptide complex and phenolic components. Ganoderma is touted for its anti-cancer benefits. It strengthens the immunity and combats cancer cell proliferation. It stimulates the production of interleukin-2, which helps to fight several types of cancer. Ganoderic acid, a compound found in ganoderma, helps to fight liver cancer. It counteracts suppression by stimulating the creation of protein in the bone marrow. In a trial, 34 people with advanced stage cancer were given ganoderma three times a day for 12 weeks. The results showed a significant increase in the T-cells. Lack of oxygen is one of the major causes of cancer. Cancer cells are known to thrive in oxygen-depleted environment. Conversely, cancer cells cannot thrive in an oxygen rich environment. Several laboratory studies have shown that ganoderma can prevent cancer metastasis. It inhibits the migration of cancer cells and angiogenesis. The extracts of ganoderma are used in pharmaceuticals to suppress cancer cell proliferation. Furthermore, combining ganoderma with green tea augments its power to retard the growth of cancer cells. Ganoderma stimulates the maturity of immune cells called macrophages, which digest infectious bacteria. This further prevents the development of secondary infection. It is also active against yeast infection. Ganoderma has been prescribed since centuries to people suffering from stress and anxiety. It can effectively reduce emotional outbursts during chronic stress and depression. Ancient Chinese monks used reishi mushroom to calm their minds for meditation. Topical application of ganoderma can be very effective for healing skin wounds, eczema, psoriasis, bug bites, stings, and scrapes. Ganoderma can also provide relief from urinary tract infections. In a study, 88 people suffering from urinary tract infection were given ganoderma for 2 weeks. The researchers found that ganoderma was significantly superior to placebo in providing relief from urinary tract infection. It inhibits 5- alpha reductase, an enzyme that converts testosterone to Dihydrotestosterone. These 5 alpha reductase can lead to swollen prostate and the health problem that accompanies it. It also improves urine flow in men with mild to moderate urinary tract symptoms. Ganoderma extract is very effective for decreasing post-herpetic pain, which occurs soon after the herpes lesions heal. A combination of ganoderma with San Mioa (a mixture of several Chinese herbs) may help reduce rheumatoid arthritis. It helps to reduce the swelling associated with rheumatoid arthritis. Ganoderma is also effective for stiff neck and arms. Ganoderma also provides blood sugar lowering effect. It contains polysaccharides known as Ganoderans A, B and C, which provides hypoglycemic effect. It elevates plasma insulin levels to enhance peripheral tissue utilization and liver metabolism of glucose. Ganoderma augments the effects of radiation therapy while acting directly against tumors. It strengthens the immune system, which helps the body to manage radiation therapy and chemotherapy. It also eases the symptoms of radiation therapy like nausea, vomiting, fever, infection, and hair fall and weight loss. Natural products are not completely safe. A specified dose is very important to make the most of these herbs. Ganoderma is available in capsule and tincture form in most health stores. You can take ganoderma in tea and coffee also. However, the addition of ganoderma to the tea and coffee can make them very bitter. The dosage of ganoderma depends on several factors like age, health and several other conditions. 2.6 grams of concentrated ganoderma mushroom extracts can be taken with meals three times a day. For adults suffering from cancer, chronic hepatitis and diabetes, doses of 600 to 1800 milligrams should be taken daily. For high blood pressure, 55 milligrams of ganoderma is recommended. For the treatment of proteinuria (protein in the urine), 100 grams of ganoderma boiled in 300 ml of water is recommended. Do not forget to consult your doctor before going ahead with the treatment. Some people might experience dry throat and nose, nose bleeding and gastrointestinal problems when consuming genoderma. Other side effects include bloody stools and itchiness in the nasal area. Some users may also experience constipation and diarrhea. Constipation may disappear within a few days of consumption. Do not take ganoderma if you are suffering from autoimmune diseases. 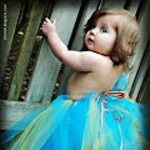 Pregnant and lactating women should avoid taking ganoderma. Do not take ganoderma before or after surgery or childbirth. There is a possibility that ganoderma can make low blood pressure worse and can even interfere with the medications. Individuals suffering from this disease should consult their doctor before consuming this herb. High doses of ganoderma can increase the bleeding in people suffering from thrombocytopenia. Ganoderma contains adenosine, a substance that prevents the blood platelets from sticking together and forming clots. It may also lead to gastric bleeding in people suffering from stomach ulcers. Refrain from taking this herb until the ulcer heals. Dizziness is another possible side effect of reishi mushroom. It is often caused due to low blood pressure. It may also cause light-headedness and fainting spells. Ganoderma is known to cause breathing problems. Nasal discomfort along with difficulty in breathing and chest pain are common. These problems are usually caused due to allergic reactions. Get immediate medical help if you face any of these allergic reactions. Itching is another common side effect of this herb. It can lead to rashes all over the body. Itching is commonly accompanied by body aches and pain. Excess consumption of ganoderma can also lead to acne breakouts. Fortunately, most of these side effects are temporary and subside with time. With right medical supervision, you can reduce these adverse reactions. Ganoderma can interact with certain prescription drugs. People taking blood-thinning medicines should avoid taking ganoderma due to increased bleeding risks. Some of the medicines that can interact with ganoderma include aspirin, Plavix, heparin and Coumadin. Other medications include captopril, losartan, enalapril, diltiazem, furosemide, and hydrochlorothiazide. Do not take ganoderma if you are taking medications for high blood pressure. Make sure you consult your physician before consuming genoderma. Did you find this article helpful? Do share your views with us in the comments section below!